I actually love the dress so much! Molto particolare questo abito e ti sta benissimo!!! Wow this dress is such a statement maker! I LOVE IT! Great - complimento! You are looking as elegant as usual and your body is perfect. Thank you for showing this great outfit. Il vestito ti sta benissimo, uno perchè è bellissimo, due perchè hai personalita' da vendere.Condivido il tuo ragionamento sulle Pigalle borchiate, meglio la copia per un accessorio che magari passera' di moda fra qualche anno! Love your dress, it's fantastic!!! That dress fits you like a glove. It looks as if it was made for you:) You look fantastic and I like everything about this outfit- the pumps, the dress and the bag. Ti sta molto bene questo vestito. Adoro le tue scarpe. What a super unique dress. Totally loving the B&H studded pumps. You look so awesome in that dress! Your waist looks so tiny! Love the kind of patchwork effect! 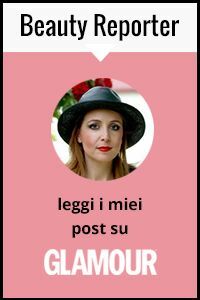 sono follower da poco, comunque, se ti va passa da noi.. mandiamo anche omaggi blogger, se ti va di collaborare! Ho coniato un soprannome per te, la regina delle stampe, come le sai scovare tu nessuna! 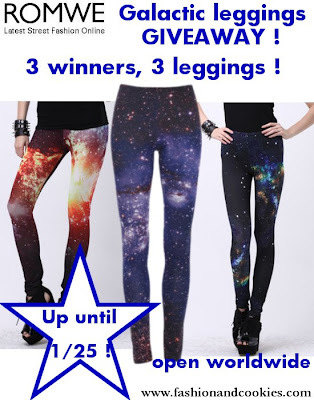 Ma cosa mi ero fumata quando sono andata su asos l'ultima volta per non aver visto questo vestito? Ma soprattutto perchè non ho visto quelle scarpe da H&M? ti sta benissimo questo vestitino,uno splendido look! !belle anche le scarpe!!! e mi parevano troppo belle per essere di H&M... e dire che ho inforcato anche gli occhiali!! Hahaha! Nice dress dear. It looks good on you! Stupendo outfit, le tue decolté sono veramente stupende!!! You are mixing prints on an entirely different level! you look stunning as ever! Love love love this look. You have an awesome blog. Loving your shoes and now following you on FB, Twitter and BL ! Ma che meraviglia la pochette! GORGEOUS!!! Fierce and love this look on you! Un'abito decisamente "difficile", ma l'hai saputo indossare con grande raffinatezza, complimenti! Wow you look gorgeous even with the bold prints! Very classy look and combination. Btw, thanks for dropping by! Love your style very much and I'm your new follower! Th asos dress is just so nice! Solo a te può stare bene un vestito così ** Ti sta alla grande! Gorgeous outfit! I love that dress and the heels are perfect! You look great! Beautiful dress! gosh, that is a crazy cool dress!! I love it and you have paired it just like a pro! oh and your arm party looks fabulous as well. such beautiful and delicate pieces. wonderful look, Vale! wow stai benissimo!! il vestito è stupendo!! Solo una parola trovo adatta per descrivere te e il tuo outfit: favolosa!!! the dress is just spectacular! What an amazing dress, it's so different and fun! You look stunning! I love how put together this whole outfit is. that dress is really striking! Ciao! Grazie for your comment on my blog. About follow each other, obviously, I would love do it. So, I'm following (GFC, Bloglovin', FB) you, and I hope see you again in mine. A fab ensemble! Adorable shoes! you look great! loving this outfit especially your dress! Wow, bellissima... Buon week end. Xoxo V.V. WOW!Love love love this dress...wonderful!!! Martha you absolutely embody elegance and feminity in perfection. I love that super stylish black and white pattern dress, super trendy for the upcoming season. Di questo outfit mi piace proprio tutto! Stai benissimo! You are so elegant! Loved this look! Nice blog honey, stop by mine please? Love your dress and pumps! Absolutely gorgeous!